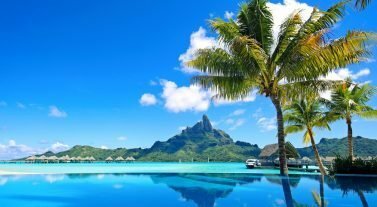 The British Virgin Islands are made up of more than 60 stunning islands and islets at the northern end of the Lesser Antilles, which separates the Atlantic Ocean from the clear, turquoise waters of the Caribbean. Get in touch to book your dream yacht charter and island hop the BVIs. The British Virgin Islands is a popular destination for sailors, with near-constant trade winds, all-year round high temperatures and dazzling white sandy beaches lapped by tranquil, clear turquoise waters. Sail the BVIs and explore the Caves, the Indians or Fallen Jerusalem to see tropical aquatic life by snorkel or scuba. Easily hop between uninhabited islands or explore breathtaking, secluded anchorages at Benures Bay or Hallovers Bay. If you want to party, head to palm-fringed beaches and enjoy the bars, such as Pussar’s Landing, Soggy Dollar Bar, Willy T or Foxy’s. Whether you want to relax or meet the locals, the BVIs offers choice and well-equipped marinas. 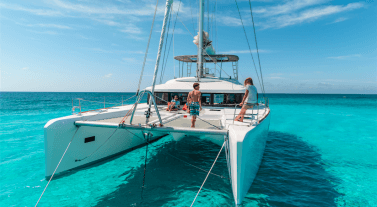 Dream Yacht Charter in BVIs: We have a large fleet of catamarans and monohulls in the BVI to suit any sailor, whether you’re looking for a bareboat, by-the-cabin or crewed yacht charter. Our BVI base is on Scrub Island and you’ll be greeted by our friendly and knowledgeable team. If you need help planning your charter, check out our inspirational itineraries section and our blog. Get in touch with our team to find out more. The time difference in the BVIs is Coordinated Universal Time (UTC) -4 hours. Make sure your documentation is in order to travel. If you’re sailing in the BVIs and want to visit the USVIs you will need a visa, please check with the UK embassy in your country before you depart. Talk to us to make sure you have the correct documents before you travel. Travelling around the island is easy, just wave down one of the many taxi mini-vans. The average fare is £3 but taxis do not have meters so haggle your price before you get in. If you rent a car, limousine, bicycle or motorbike, drive on the right-hand side and be aware the roads are in variable condition. When you enter the BVI by private or charter boat, you need customs and immigration clearance at your entry port. 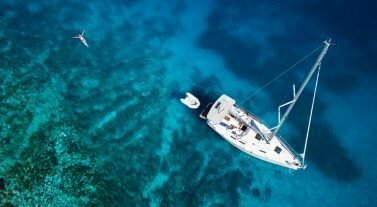 You’ll also need the mandatory Cruising Permit and National Parks Permits when sailing BVI waters, which you can get from customs or talk to us. There is no sales tax on items purchased in the BVI. The currency is US Dollars and Euros, travelers cheques, Visa and MasterCard are accepted, but American Express isn’t. ATMs are easily found in Tortola, look for Virgin Gorda First Bank, Banco Popular, Scotia Bank and First Caribbean Bank. Banks are open Monday to Thursday (8:30am to 3pm) and Friday (8:30am to 5pm). Getting online is easy with plenty of Wi-Fi spots and cyber cafés. Local internet service providers are Wanadoo, Domaccess, CaribServe, PowerAntilles and ADSL available. There are plenty of letter boxes and the main post office is in Road Town. Spear fishing is not allowed and illegal drugs are not tolerated. A fishing permit is required for fishing. Temperatures in the BVIs are around 25°C to 28°C all year round. August is the hottest and sunniest month and sea temperatures are warmest in September. The hurricane season is between June and October, which is also the wettest month. The sailing conditions in the BVIs are known for the trade winds season between November and June and the famous Christmas winds in December/January, which can keep you going for several days. Winds are mainly from east or north east, depending on the time of year and the sailing area is less crowded when the winds are lighter. Groundswells can occur between December and March after particularly strong winds. Day 1: Overnight at Scrub Island Resort, Spa & Marina BVI and get to know your boat. You can provision at a nearby supermarket in advance or grab some supplies that night. Day 7: Explore the caves on Norman Island before sailing to Rhone Marine Park to snorkel over the steamer wreck, RMS Rhone that sank in 1867. 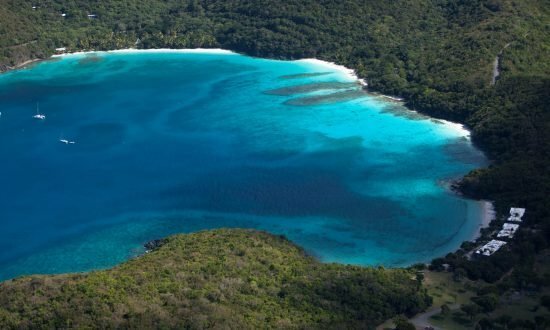 Head to Cooper Island and Cistern Point for snorkelling or Hallovers Bay. Day 8: Back to Scrub Island Resort, Spa & Marina, to disembark. Day 2: Enjoy snorkeling at the caves at Norman Island for brilliant underwater exploration. You can use the mooring balls at The Bight, Kelly’s Cove, Privateer Bay and Soldier Bay or anchor in deep water at Benures Bay. 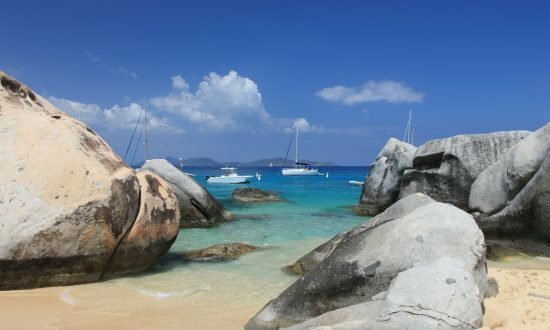 Day 3: Navigate to Virgin Gorda in the morning, explore the large boulders and water caves known as The Baths. Eat at the Top of the Baths restaurant, continue through to Devil’s Bay beach and spend in the night in Gorda Sound. You can dine at the Leverick Bay Resort and Marina in “North Sound”. Day 4: Take the time to get to know Gorda Sound and sail onwards around Prickly Pear Island to Eustatia Sound, which has fantastic anchorages. Head over to North Lee Bay, Fallen Jerusalem, for vibrant marine life and clear snorkeling. Day 5: Find healthy coral at the Coral Gardens, Dog Islands. There’s plenty of fish off the Great Dog coast, where you can use the red mooring balls. At George Dog, snorkel on the south-west side and visit Kitchen Point beach. Day 6: Carry on to Jost Van Dyke, moor at White Bay and swim up to the beach to try one of the famous Painkiller cocktails from the Soggy Dollar Bar. At Great Harbour, Foxy’s and Corsairs beach bar and restaurant are also open for a lively atmosphere. Day 7: Spend the morning at Jost Van Dyke before heading over to Peter Island to snorkel at the Indians. You can moor at Deadman’s Bay, Whelk Bay, White Bay, Key Bay and Great Harbour. Day 8: From Peter Island, take your time while heading back to the base for one last night. Day 9: Back to Scrub Island Resort, Spa & Marina, to disembark. Day 2: Get in a great day of sailing to Peter Island to snorkel the Indians’ underwater paradise. You can find anchorages at Deadman’s Bay, Whelk Bay, White Bay, Key Bay and Great Harbour. Day 3: Enjoy another BVI top snorkeling spot at the caves, Privateer Bay, Norman Island. Dine at Pirates Bight restaurant or The Club and use mooring balls at Kelly’s Cove and Soldier Bay. It’s nice and peaceful at Benures Bay. 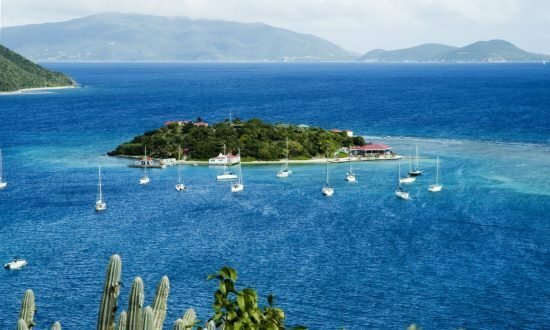 Day 4: You need to visit White Bay, Jost Van Dyke, home to the famous Soggy Dollar Bar, where you can swim up to the beach and relax with a famous Painkiller cocktail. Try Foxy’s, a famous BVI bar, or Corsairs beach bar at Great Harbour too. Day 5: Head over to Monkey Point, Guana Island, to find vibrant marine life that is perfect for snorkeling. Day 6: Make your way to the Dog Islands and snorkel at the Coral Gardens to find healthy coral. There’s plenty of fish off the coast of Great Dog, where the red mooring balls are still intact. At George Dog, snorkel on the south-west side and visit Kitchen Point beach. 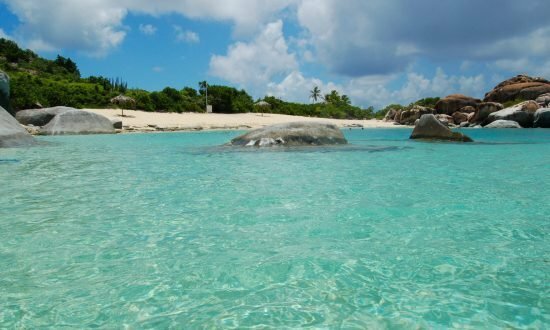 Day 7: Explore Virgin Gorda in the morning with its large boulders and water caves known as The Baths. Eat at the Top of the Baths restaurant, continue through to Devil’s Bay beach and spend in the night in Gorda Sound. You can dine at the Leverick Bay Resort and Marina in “North Sound”. Day 8: Spend the day exploring Gorda Sound and sail around Prickly Pear Island to Eustatia Sound, which has beautiful anchorages. Day 9: Sail to the low-lying coral island of Anegada to see flamingos, salt ponds and white sandy beaches. Try the native lobster and rum smoothies at the Reef Hotel or conch at Big Bamboo, Loblolly Bay. In November, you can join in the fun of the famous two-day lobster festival. Day 10: Head to Cooper Island and Cistern Point for snorkelling or Hallovers Bay. Day 11: Head to the Rhone Marine Park to snorkel over the steamer wreck RMS Rhone that sank in 1867. It’s a popular diving spot in the BVIs. Day 12: Sail to Sandy Cay National Park and then sail onwards to moor at Diamond Cay, Little Jost van Dyke, before heading to Sandy Spit. Day 13: Head back to base for your final night via Soper’s Hole, where you can grab lunch at Pusser’s Landing or enjoy a coffee with free Wi-Fi at Omar’s Cafe. Day 14: Back to Scrub Island Resort, Spa & Marina, to disembark. Our BVI Base Manager will be pleased to welcome you on arrival to Scrub Island Resort, Spa & Marina. Fly direct to the BVIs via Terrance B. Lettsome International Airport (EIS), Beef Island, Tortola. On arrival, it’s just a short walk or two-minute taxi ride to the Trellis Bay ferry dock where you can catch the regular Scrub Island ferry to our base, which takes ten minutes. The ferry is free of charge for our customers and runs from Trellis Bay between 6.45am to 10.30pm and from Scrub Island between 6.30am and 10.15pm. Customers coming from St. Thomas, Charlotte Amalie, can get the ferry to Tortola and take a 45-minute taxi ride from Road Town Ferry Dock to Trellis Bay to pick up the Scrub Island ferry. Make sure your passport is in date and valid for the duration of your stay and look under our Handy Info section for visa advice!